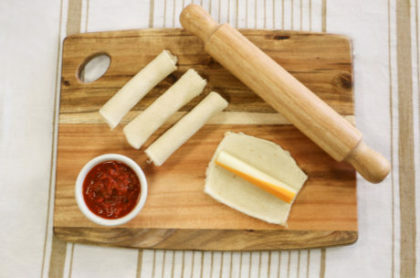 Unwrap 10 pieces of Dutch Farms string cheese. 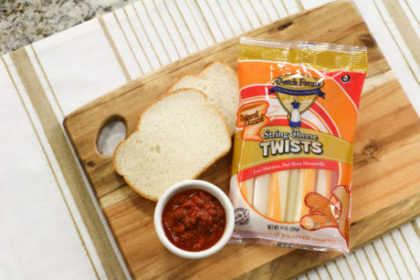 Roll one piece of string cheese in each piece of bread and press tightly to seal the bread around the cheese. 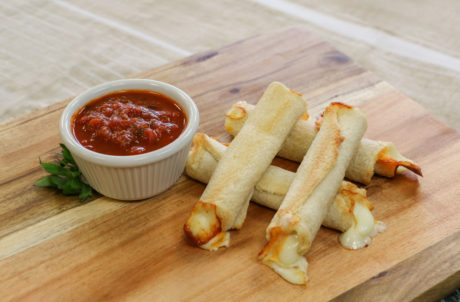 Bake in the oven 10-12 minutes or until lightly toasted and cheese is melted. *Alternate recipe – mix it up by adding a little South of the Border flare! 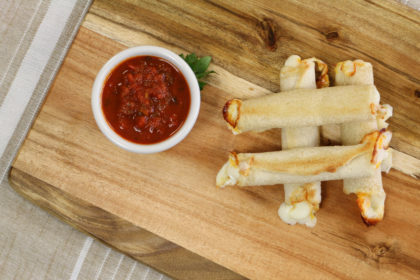 Swap out string cheese for Dutch Farms Pepper Jack Cheese Sticks and dunk in your favorite salsa. Ole!